Hello, reader. This is Benjamin. I have three things on my mind today: things that stick with you, the degradation of communication, and nature. Now, think about some of the things that stick with you–the things you can remember, no matter what. Maybe it’s a story, a tip of the trade, advice from a grandmother, or a certain song. Now, a question I pose to myself: why don’t people “stick with me” in the same way? One thing that has stuck with me is carpentry tips. My dad must’ve told me hundreds, but a couple of the examples I can pull up now are: 1) to spit on a screw or nail before going into really hard wood and 2) while drilling a hole, pull out the drill a few times to clear the bit (it cuts better that way). I also have pulled quite a bit of strength from things my mother has said about being yourself. So I use this to remind myself it’s OK not to have the exact same conception as the rest of the “normal” world of serving, etc. (I’m not the best “people” person in the world). A book called “Living Well on the Spectrum” by Valerie Gaus–which my parents got me–helps me deal with life issues related to my autism. Autism is a neurological disorder which encompasses a “spectrum” of mind differences, which cause many problems in daily life. It discusses brain differences that simply “are” in autistic people (when we accept that our brains work differently, we are more effective). Then, it implements a combination observational/problem-solving method. You find out what works. 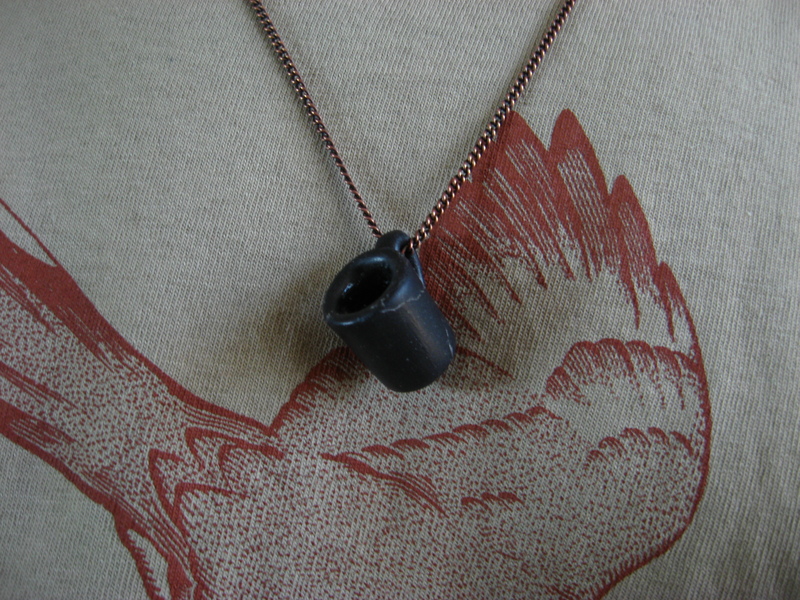 My sister made me a cup necklace out of sculpy clay to remind me to drink water throughout the day. Her act of kindness sticks with me. 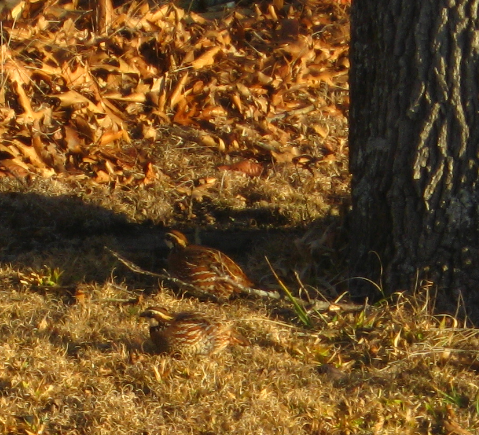 Here are a couple of more things that stick with me: a sky of billow altocumulus and bobwhite quail venturing ever closer to my parents’ house. But why not people (in their entirety)? I find it difficult to remember little details like my Mom liking open skies and my dad liking forests. I find it difficult to remember many things like that, and how they link together to form a person. It has some to do with my autism–a “person” is a very abstract concept to my mind, and it is much easier for me to just remember Mommy as any one of her small details than to incorporate everything at once. It upsets me–but if I try my best (and God knows if I am), God knows I am sincere. Any thoughts would be greatly appreciated. I am going to try a solution of once a week, writing down new details I’ve learned about people. I carry around a pocket-notebook to write down these things as I observe them. God (as I have come to understand him): the imprinted image on all humanity and creation of what we are made to do and to be: Can I love him with all of my body (take care of yourself), mind (be responsible and content as you can be), heart (have reasons for doing what you are doing), and soul (don’t be afraid to express yourself in whatever way makes you content and doesn’t harm anyone)? Now, on the degradation of journaling: in a world with computers, we have become very careless on what words we throw out to other people. We have the same attentive, sensitive audience as letters, speeches, and such, but not the same pause for thought. An official in Asheville was put on leave for a needlessly harsh, violent Facebook comment about Occupy Asheville protesters. Celebrities around the world have to make public apologies for twitter.com Tweets and other such quick-publish media. One of my goals is to make the special people in my life “stick with me” better. I think it will help my words be better, too. Thank you for this post, Benjamin. I think you expressed yourself very well, and your words will certainly stick with me! As you and I have discussed a number of times, I do think our culture increasingly has cheapened words—perhaps because they are so plentiful! We talk more, but I think the connections we make with our words are often more shallow and less satisfying. I’m glad that you and I have been able to have so many conversations about the deeper things of the spirit—-the things, as you say, that matter. I love you. I am glad, too. Thank you for taking the time to listen. I meant to tell you, too, that I really liked your photographs. I feel especially blessed to have experienced, along with you, both the sunset and those beautiful bobwhites. Also, I wanted to say that I believe with all my heart that God honors true sincerity (when we talk with him) over the most eloquent-sounding prayers. As you know, I’m rather bumbling when it comes to speech, so my prayers, on the surface, are not so pretty. But I believe that to God, beauty is found in truth—not in flowery language.